We Need Your Stories, Tidbits and Pictures for Website, Facebook and Twitter! We are approaching mid-May and most leagues are up and running and the rest will be on board around Memorial Day. My job is simple: Keep the MSBL nation informed with what is going on among 325 leagues and their 40,000 players. 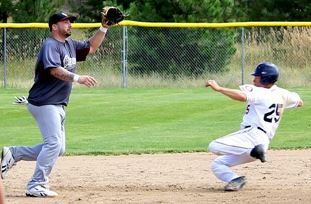 We have the MSBL national website, our extremely popular Facebook page and our growing Twitter page. These communication avenues are designed to keep you informed with not only entertaining tidbits but solid dates and information you need to make your baseball plans. Our website is also the port for all archival information and past news and results. The bottom line is that I need your stuff! Stories, updates on wonderful achievements, pictures or comments all have a home somewhere within the MSBLworld that I can also post in the ‘Diamond Notes’ section of our national website home page. We started this last year and had a lot of fun with it. HERE is a sample of one of my weekly articles from last year. That will give you an idea of what I am looking for. You can send your information to msbllamontia@aol.com any time by the end of Wednesday and I’ll get it up there before week’s end. MSBL is all about sharing its member accomplishments. It is always entertaining to see what a fellow member has done in another part of the country and I am happy to spread the word every week this summer. Please accept our wishes for a safe and entertaining season and hopefully we’ll run into one another at our World Series in October or somewhere in between. I am always around if you need me. Play safe, everyone!